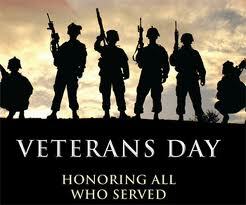 I would like to dedicate this meager page to all our veterans…Thank You! A veteran’s not a rookie. A vet has paid his dues. just nuanced in the news. A veteran loves his country. With pride he greets its flag. A veteran knows life’s precious. Old memories make him cry. when he watched others die. His buddies know he cares. he’ll find a way to share. I’ve seen what I’m describing. You see, my dad’s a vet. who fought so we’d be free. So how can we repay them? with thanks on Veterans’ Day.